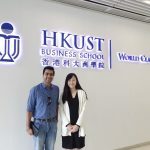 Soon after he had applied to the Kellogg MBA, Harsh received an invitation to interview. Kellogg interviews are usually conducted by Kellogg alums, in person, in the same city where the applicant is based. In some cases, the admissions committee has been known to conduct them online, and in some others waive off the interview requirement altogether. 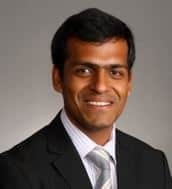 With his interview set, though, Harsh knew that it was time to dedicate himself to his Kellogg MBA interview preparation. Knowing Harsh’s profile very well now, GyanOne put in a rigorous schedule for his preparation. On the one hand, we helped Harsh with his preparation, and on the other, helped him to understand the school very well. Harsh had a host of other questions about the process at this time – How would he be perceived? How should he manage the communication? What documents should he take? These are all small issues, but getting them right can significantly bring down interview-day nervousness. Harsh worked with GyanOne to explore multiple aspects of his profile, covering a wide range of issues specific to Real Estate, the need for an MBA, and his future plans. We worked together to ensure that Harsh understood the Real Estate landscape very well, covering multiple issues there, not only from a technical viewpoint, but also equally from a business perspective. He also needed to understand Kellogg and the Kellogg MBA, especially options that applied to his future objective, such as Kellogg’s Real Estate specialization and the options it would open up for him. During the first mock, Harsh came across as very nervous – this is usual for someone facing the process for the first time. Over time, GyanOne helped him understand and employ specific strategies for overcoming these early jitters and putting his best face forward. We also covered a large variety of questions related to Harsh’s profile, Kellogg, and the MBA program. Harsh’s final interview went well, but he reported that he stumbled at a couple of places because he put too much pressure on himself and was spending too much energy judging on how his interview was going. Nevertheless, his solid preparation meant that Harsh was able to deliver a good account of himself, and his hopes, aims, and challenges. The final admit came in recently. Needless to say, Harsh was over the moon with the results. While Harsh was elated at having made it to Kellogg, more good news was to follow later. Just a couple of weeks later, he came to know that he had been offered admits at Yale and McCombs as well! Key take-aways from Harsh’s Kellogg MBA interview experience: 1. Prepare for the interview. ‘Being yourself’ is good advice, but it is hard to be completely comfortable and do your best in a process that is obviously judgmental without preparation if approaching it without familiarity. 2. Work with your consultant or friend to test your assumptions and your responses. Do they hit the right cords? Professional help from admissions consultant can be very useful here, helping you give you the right feedback on what you are doing wrong, and how to improve. 3. Research, and research well. There is no excuse for not knowing your own profile well enough to not be able to answer questions on it, or not know the school you are applying to in reasonable detail. 4. Be ready to have your assumptions challenged sometimes. The interviewer is not out to put you under pressure necessarily, but may want to understand not just your decisions, but also the thought process that led to them. Kellogg MBA interviews in particular are known for this. 5. Having prepared, learn to relax during the interview. If you put yourself under too much pressure, you are lowering your chances of good performance. Prepare hard before, and be on your guard but relaxed during the interview. Great to read my namesake Harsh’s story. GyanOne, I have heard good things about you especially for top US MBA Admissions, but I am not sure about the path forward. I plan to apply next year only, but what are the things that I can do to strengthen my profile? Perhaps I will come down to your office and have a chat sometime soon. Hi Harsh. 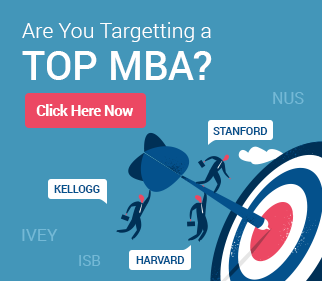 You can read the following article:how to improve your profile for MBA admissions. For a more specific evaluation, get in touch with us online or come over and meet us. Awesome story. 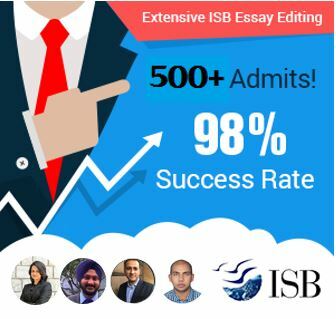 You people are great when it comes to MBA Admissions Consulting for Indians. I am planning to apply this year and will get in touch with you shortly.